The DeWalt DCD995P2 is an 18V, XR brushless XRP hammer drill driver with 5.0Ah Li-Ion battery technology. 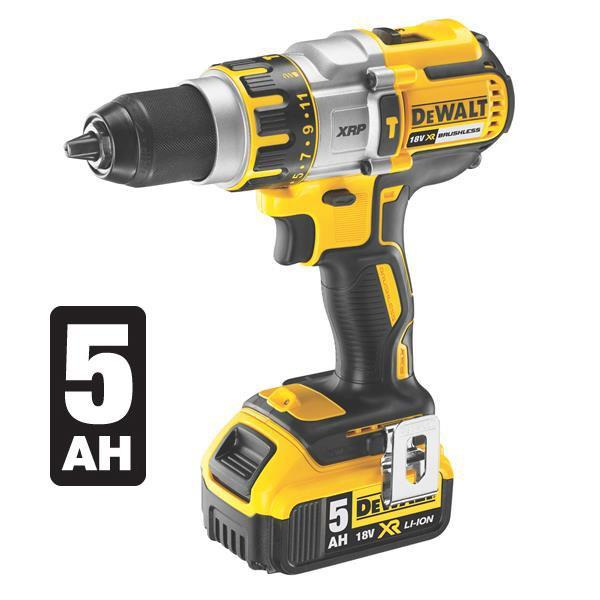 This DeWalt hammer drill driver is one of the new and leading models available on the market with top class runtime afforded to you by the new 5.0Ah batteries. Offering a base-mounted LED work light and a 3-speed, all metal transmission this DeWalt drill driver is both durable and practical for a life of working on the jobsite. The brushless motor is a popular feature among the newer DeWalt tools allowing you to work longer with minimal servicing required as time moves on.